A coat of fresh paint can bring new life to your house inside and out, but at what cost? 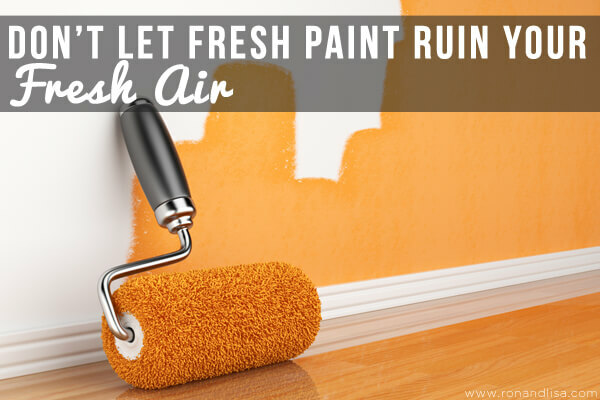 Paints and other products like primers, stains and caulks may emit unhealthy volatile organic compounds (VOCs) that can lead to eye irritation, headaches and more severe health effects. We’re here to tell you the good news: zero- and low-VOC coatings and adhesives are now commonly available from major suppliers; California has some of the strictest standards in the nation to limit VOCs. Read on for more detailed tips on green paints from the Green Product Directory; a free, public resource for California homeowners. Look for the actual VOC content on the product label. True low-VOC paints and primers contain less than 50 grams per liter (g/l) of VOCs for both flat and nonflat sheens. Paints and primers that contain less than 5 g/l of VOCs are classified as zero-VOC. Look for the same criteria for your primers. For clear wood finishes and wood stains applied to cabinets, trim, doors, shelving, wainscot, floors and other wood surfaces, use products with less than 250 g/l of VOCs. For caulks and construction adhesives, choose products less than 70 g/l for all interior applications. Some people may have a negative view of low-VOC paints due to problems with first-generation products sold 10 or more years ago. If you or your painter is one of those people, make sure to try the latest products, because low- and zero-VOC paints and coatings have been reformulated to improve performance. A number of manufacturers have developed high-quality, recycled-content latex paints and primers. The recycled content, which ranges from 20% to 100%, comes from unused consumer and industrial stock. The leftover paint is checked for quality and then sent to paint manufacturers for recycling and blending with a portion of new paint. 1.) Beware of lead. In homes built before 1978, older layers of interior and exterior paint may contain lead, a toxic metal that can cause a range of serious health problems, especially in young children. Lead-based paint that is in good condition isn’t considered a health hazard, but if it is peeling, chipping or cracking, it needs immediate attention. Also, lead dust can be spread through a home during remodeling projects that involve sanding, scraping or cutting through surfaces painted with lead-based paint. Read more about lead on the EPA website and HERE. 2.) Mind the color. VOC levels are generally reported for the base paint before the product is tinted. Most tints are synthetic and add some VOCs. Because of the VOCs in tints, saturated colors usually have higher levels of volatiles than light colors. 3.) Know your ingredients. Many people, especially those with chemical sensitivities, can have adverse reactions to paints and other coatings. If you are concerned about potentially toxic ingredients, refer to the product’s Material Safety Data Sheet (MSDS) on a company’s website. 4.) Consider the alternatives. As an alternative to conventional paint, tinted gypsum plaster and natural clay plaster can be a less-toxic interior finish option. 5.) Apply it right. Allow sufficient ventilation and airing out of the areas during and after painting. Choose products that are factory finished whenever possible. Green products are beautiful, durable, and they lower your utility bills and maintenance costs. Whether you’re planning a top-to-bottom remodel or just replacing a showerhead, start your research today at the Green Product Directory at GreenPointRated.com/Products.